No wonder at the court appearance that I was forced to endure Maricopa County public defender David Allen Brown “representing” me, he barely acknowledged my existence and simply offered a plea agreement without any knowledge of the case. This entry was posted in 55 Days In Maricopa County Jail and tagged David Allen Brown, ineffective assistance of counsel, Maricopa County, public defender, sixth amendment on June 17, 2009 by admin. This entry was posted in 55 Days In Maricopa County Jail and tagged @AZModerate, John Wertching, Maricopa County, probation, Progressive, Twitter, Uncle John on June 10, 2009 by admin. This day corresponds with Tuesday, September 9, 2008. Click here for the complete “55 Days In Maricopa County Jail” series. This entry was posted in 55 Days In Maricopa County Jail on May 16, 2009 by admin. This day corresponds with Monday, September 8, 2008. Click here for the complete “55 Days In Maricopa County Jail” series. This day corresponds with Sunday, September 7, 2008. Click here for the complete “55 Days In Maricopa County Jail” series. This day corresponds with Saturday, September 6, 2008. Click here for the complete “55 Days In Maricopa County Jail” series. This entry was posted in 55 Days In Maricopa County Jail on May 16, 2009 by Brian Wilkins. This day corresponds with Thursday, September 4, 2008. Click here for the complete “55 Days In Maricopa County Jail” series. This entry was posted in 55 Days In Maricopa County Jail on May 14, 2009 by admin. This letter corresponds with Wednesday, September 3, 2008. Click here to view the complete “55 Days In Maricopa County Jail” series. This day corresponds with Tuesday, September 2, 2008. 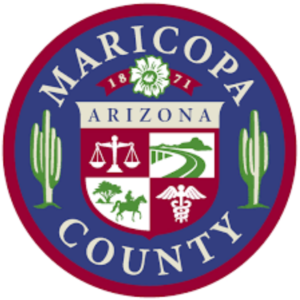 Click here for the complete “55 Days in Maricopa County Jail” series.